QA and software testing, like many industries, have changed over the years, but QA careers aren’t going away. In fact, quality assurance is more important than ever today, especially in the world of online software. With so many competing products and services, it’s imperative that software applications go through thorough testing before they’re released to customers. Companies need quality-focused individuals to help their products stand out of the crowd. 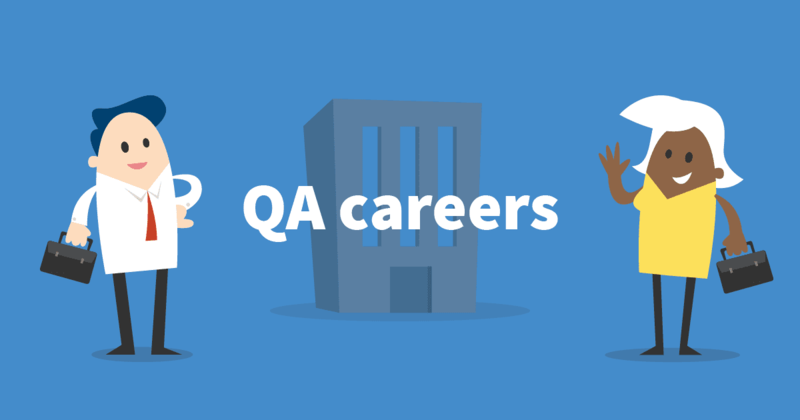 At SoftwareTester.careers, we provide tips and share knowledge to help aspiring and practicing QA professionals excel and advance in their QA careers. QA is one of those careers that people seem to find themselves in without necessarily knowing that’s what they’ll be doing one day. Often times, it’s the most quality-focused, customer-centric people who end up in QA careers because they truly care about the functionality and quality of the products, and they see a need for maintaining or improving quality. QA professionals are curious, empathetic, and technical, and they’re often strong writers and communicators as well. This wide range of skills is necessary in QA careers because you never know what type of problem will be thrown at you. Many testers are natural problem solvers, but a tester must be a problem finder too. Creative thinking and being able to identify risks, are crucial.